The Sales Presentation Skills training seminar Hong Kong will coach you to connect with the audience, create the best business impression and deliver stronger, more powerful sales presentations. Providing the best sales services to retain key accounts is vital, and turning this customer asset into top class value can be highly beneficial for a corporation. The objective of the Key Account Management training course is to provide the necessary understanding as well as good skills for HK executives to manage their key accounts effectively. By attending this Hong Kong sales training course, participants will learn about the fundamentals of account management; role of the account manager; managing the relationship; building long term commitment; successful sales strategies for account development. The Key Account Selling training course Hong Kong was created as a result of one-to-one coaching with key accounts sales people from a variety of industries that involve complex key account situations across 13 cities in Asia. This sales training Hong Kong program has been tried, modified, and re-tested to make sure that the selling people deliver good business results for HK customers, especially in the Asian context. The Hong Kong sales training seminar outcomes ensures that program participants understand and anticipate key accounts' business needs so as to grow the account for the future, understand and build strong relationships with influential people of key accounts, and to allocate the best sales roles for each key account team member in order to service the key account as a team. The Psyche-Selling training seminar Hong Kong is created as a result of one-to-one coaching with sales people from a variety of industries across 13 cities in Asia. This Hong Kong sales training course has been tried, modified, and re-tested to make sure that it delivers results for selling members of HK staff, especially in the Asian context. Being a top class sales person and managing a good sales team in Hong Kong requires different sets of skills and attitudes altogether. Yet, many HK corporate sales managers are not equipped with the right tools to get good results from an otherwise talented sales team. Using insights in what probably is the earliest leadership guidebook known in history, The Art of War by Sun Tzu, we can learn from time-tested observations of ancient battlefields and apply them in today's business battles of sales and selling in Hong Kong. The Art of Sales Negotiations training program is created as a result of one-to-one coaching with sales people from a variety of industries across 19 cities in Asia, based on tried-and-proven techniques that has been applied to many business situations worldwide. This Hong Kong sales training program has been tried, modified, and re-tested to make sure that it delivers good results for HK sales people, including those in the Chinese context. The Win-Win Negotiation Skills training course Hong Kong will help you understand your own and others negotiation styles, and apply practical techniques. This Hong Kong negotiation course will enable you to produce win-win result in various negotiation situations. By taking part in actual business cases analysis and role plays, HK course participants can experience the negotiating process from a different angle, and enhance their personal set of negotiation skills. Companies often need to negotiate in order to get the best terms when they purchase materials or sell products. People at work also need to negotiate with one another over shared resources, departmental interests, or ways to do things. The Influencing and Negotiating for Win-Win Hong Kong training program enables attendees to acquire top class negotiation skills to influence and be able to negotiate skilfully with others in work situations. Merchandisers often need to negotiate with suppliers in order to get the best terms for the buyers they represent. At times they may also need to negotiate with buyers to facilitate a deal. Well-conducted negotiations can create good value for all parties concerned. Nevertheless, people often fail to negotiate properly because of lack of confidence, preparation, or effective negotiating skills. The purpose of the Hong Kong Negotiation Workshop for Merchandisers is to provide essential merchandising knowledge, strategic negotiating skills and techniques. This HK negotiation training programme examines effective strategy in price negotiation, as well as the processes and techniques involved in persuasive communications. 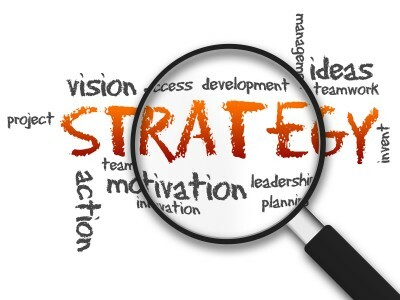 The Mastering Strategy and Turning Strategy into Results training course Hong Kong is about getting things done. Be it strategic action, corporate objectives or tasks from appraisal ─ this seminar will show you how to do it. This strategy training program is suited to anyone in a HK supervisory or management role who need to get work done through others, even if they do not report to you directly.